This Tuesday feels like a good day to post some important Speedmasters. 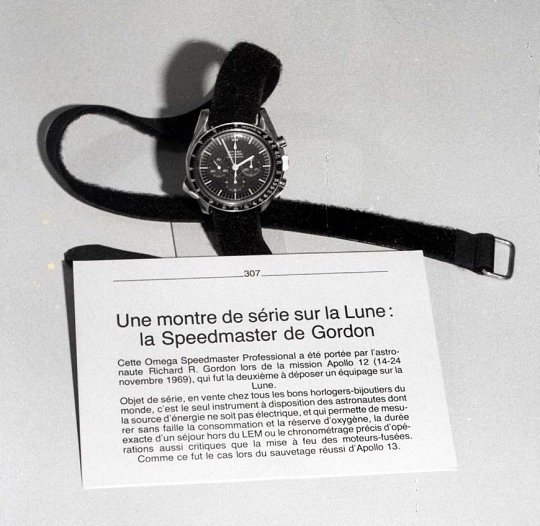 And you, visiting SpeedyWatches.com, are probably aware of the fact that the Speedmaster made its dent in world history by being the watch first chosen by NASA to accomplish their heroes on their missions.. So what could be better than posting a line-up of the watches of the Smithsonian National Air and Space Museum? 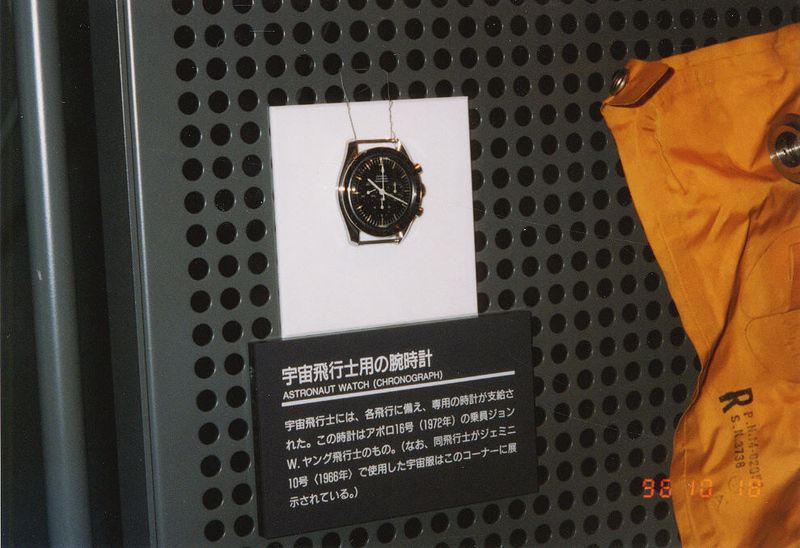 To kick off with a bang, the one posted above is the late Neil Armstrong’s Omega Speedmaster Professional 105.012, worn during Apollo 11. 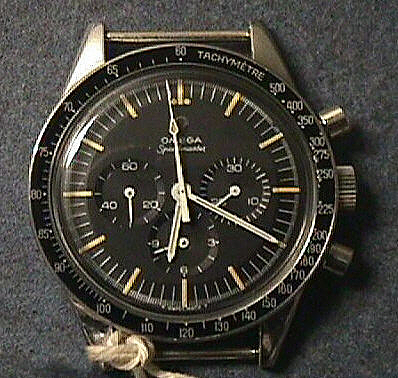 Somewhat earlier is the Omega Speedmaster 105.003 worn by Gordon Cooper during the 1965 Gemini 5 mission. 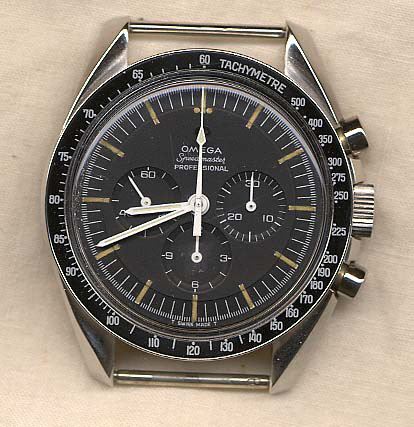 Inlay might be replaced – but still you can’t even imagine what we’d give to own one of these historical pieces..
Next up, with a somewhat mediocre picture, is James Lovell’s Speedmaster. Although the page at NASA indicates that they were unable to open this one (why Frank? ), we’d care to guess it’s another 105.003. Worn during the 1966 Gemini 12 mission. Indeed, another killer picture… While, the other choice was one similar to the one posted above. Pictured is Tom Stafford’s Speedmaster 105.003 as worn during the 1965 Gemini 6 mission. Another 105.012 – yet now it’s Walter Cunningham’s 105.012 as worn during the Apollo 7 mission of 1968. 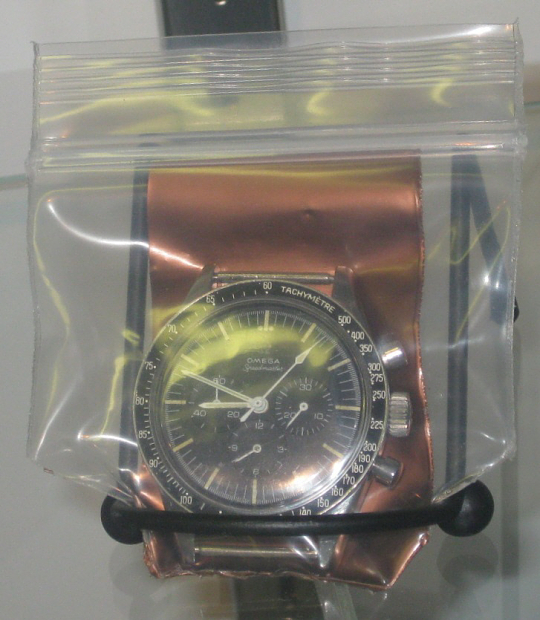 Al right, so this is the Speedmaster as worn by Vance Brand during the Apollo-Soyuz Test Mission (ASTP) in July, 1975. Though the year might suggest a 145.0022, we’d care to guess it’s a 105.012. 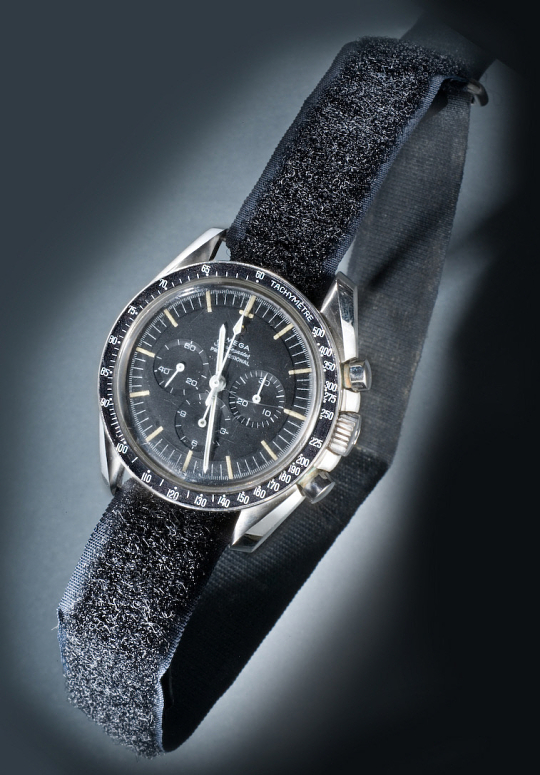 Next up is James Irwin’s Speedmaster as worn during the 1971 Apollo 15 mission. No information on the reference number – likely a 105.012 or maybe an 105.003. Looks great on this strap! 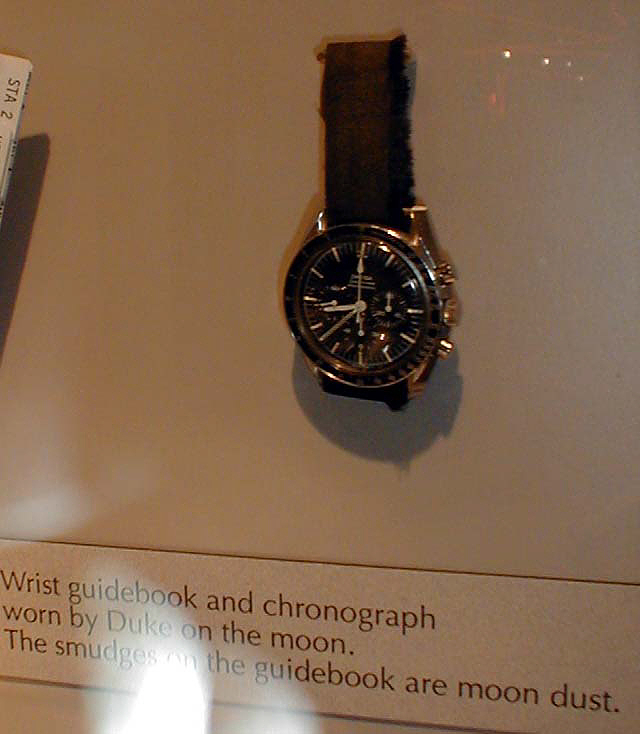 We’d care to guess the next picture was not taken at the Smithsonian… But anyway, it’s John Young’s Speedmaster 105.012 as worn during the 1972 Apollo 16 mission. The party just won’t stop! 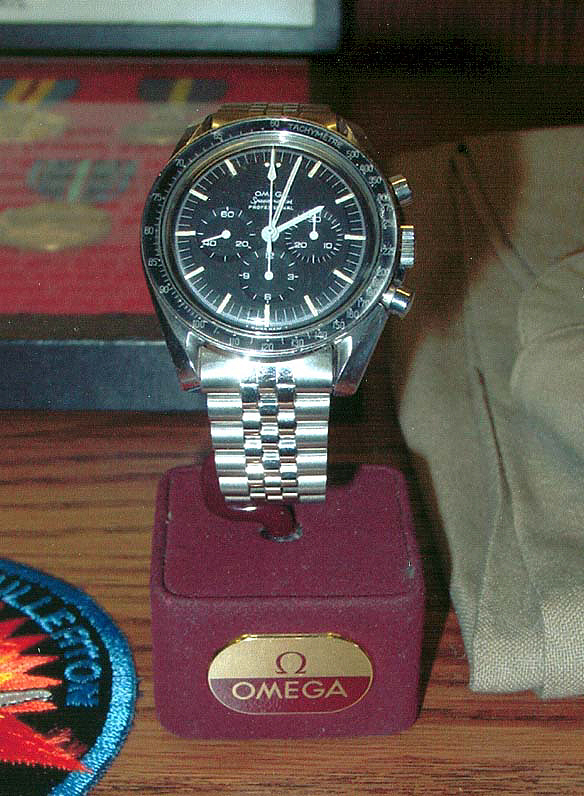 Pictured is the Speedmaster 105.012 worn by astronaut Jack Lousma on the Skylab 3 mission from July through September, 1973. Another stellar picture courtesy of The Smithsonian: the 105.012 as worn by Charles Duke, during the Apollo 16 mission in April 1972. A pattern seems to be emerging – the NASA fondness of the 105.012. This one was issued to astronaut Richard Gordon for use during the Apollo 12 mission of November, 1969. This is it for part 1 of our Smithsonian monster post. In the next few days, we will update this post with relevant information and somewhat more lucid descriptions. Stay tuned for part 2! Interested in owning your own part of history? Consider the 3570.50.00 – the original Moonwatch. Pics by the Smithsonian. Information through private archives and NASA. 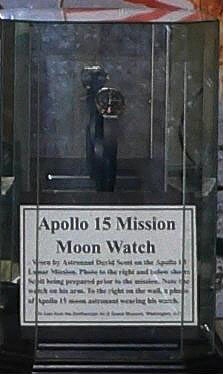 This entry was posted in Editorial and tagged Charles Duke, David Scott, Gordon Cooper, Jack Lousma, James Irwin, James Lovell, John Young, Neil Armstrong, Tom Stafford, Vance Brand, Walter Cunningham on September 3, 2013 by Dale Vito.